Child spent the early years of her life in New England. Her interest in landscape architecture developed from her passion for art, gardening, and history, as well as time spent at her family's farm in southeastern Massachusetts. Child received her B.A. from Vassar College in 1950 with a concentration in art history and French. 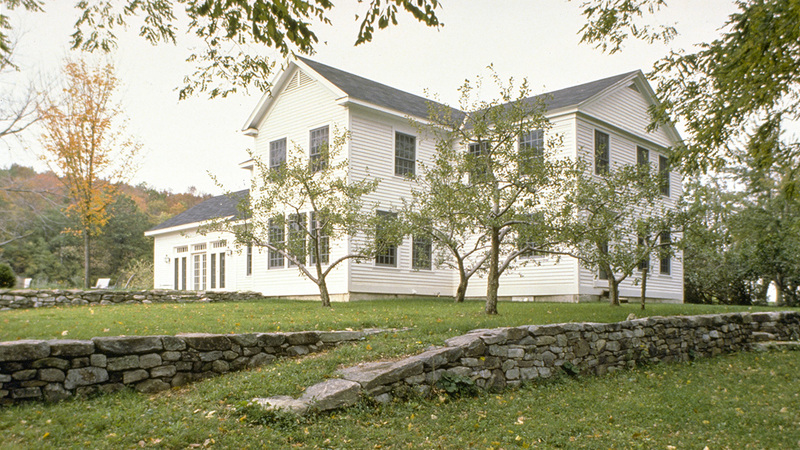 She then focused on raising her family and advocating for urban gardening before receiving her graduate certificate in landscape and environmental design at the Radcliffe Institute in 1975. In 1978 she enrolled in the landscape architecture program at Harvard's Graduate School of Design, where she was mentored by then-department head Peter Walker. Child graduated from Harvard in 1981 and founded Child, Hornbeck Associates, Inc., in Boston with former professor Peter Hornbeck. 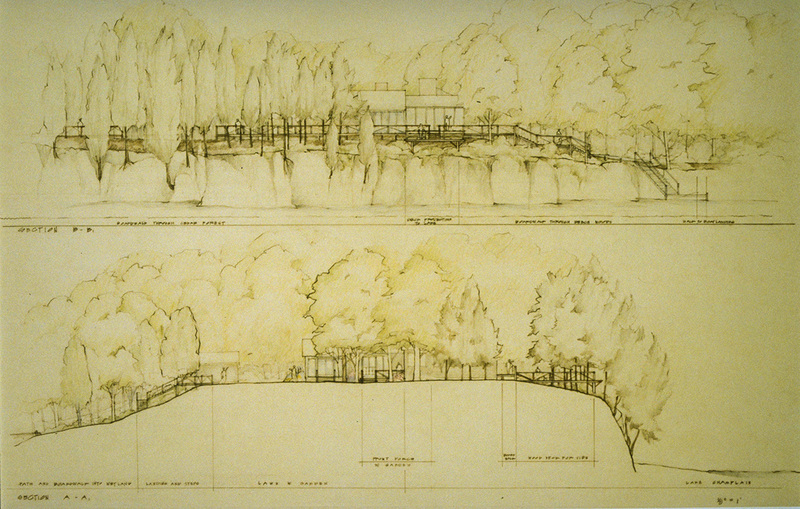 Following Hornbeck’s departure in 1984, she founded Child Associates Inc., Landscape Architecture, with Douglas Reed. Together they shaped a firm that successfully completed a great variety of project types. Child is best known for her conceptual clarity in design, emphasis on rigorous documentary research, knowledge of plants, and ability to design thoughtful spatial experiences – attributes that influenced such colleagues as Duncan Alford, Anita Berrizbeitia, and Chris Moyles, among others. The firm’s work includes the publicly accessible Country Place-era estate Stan Hywet Hall in Akron, Ohio (1984); Richmond Garden, a private rural retreat in the Berkshires of western Massachusetts (1986-1988); and South Cove, a waterfront park at Battery Park City, New York (1985-1989), regarded as her most significant design. There she collaborated with artist Mary Miss and architect Stan Eckstut to craft a sculptural landscape that carefully addressed the relationship between city and the river’s edge. 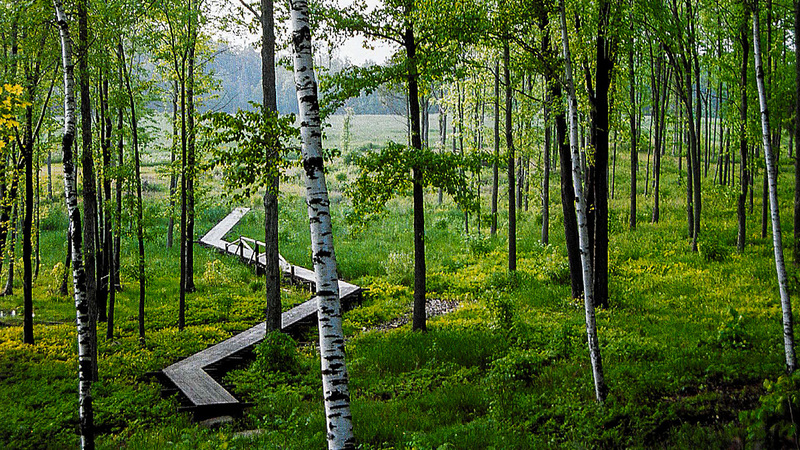 Child was inducted as a Fellow of the American Society of Landscape Architects in 2011. She died at her home in New Haven, Connecticut, on November 13, 2018. Born in 1928, Susan Child came to the profession of landscape architecture later in life, after raising a family and working as an advocate for urban gardening. A longtime resident of New England, Child graduated from Vassar College in 1950 with extensive coursework in art history and French. She then moved to Boston and immersed herself in various societies dedicated to the appreciation of art, gardening, and culture, serving on the Board of Trustees for multiple organizations. With her family, she frequently vacationed to and gardened on a farm along the estuary of the Westport River in southeastern Massachusetts that was created by her father-in-law Josiah Child, an architect trained at the École des Beaux-Arts in Paris. 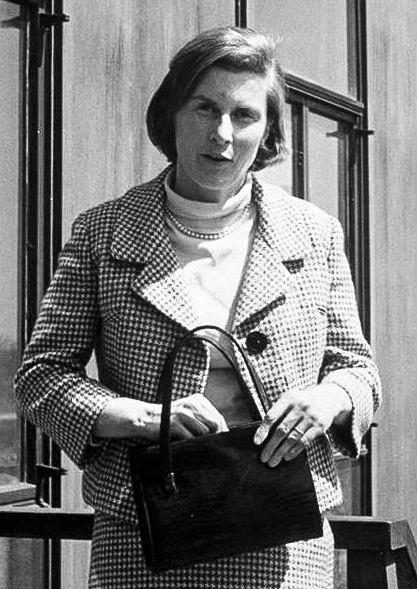 The family farm was an important influence on her life and design work, and Child cites it as having the deepest impression on her sensitivity to the built environment. After twenty years dedicated to community and family, Child pursued her allied interests in gardening and art through a graduate certificate in landscape and environmental design at the Radcliffe Institute, graduating in 1975. At Radcliffe, a course by Diane McGuire on the “Intellectual History of Garden Art” was particularly influential, an early incubator of Child’s historically conscious and theoretically-motivated design perspective. Child worked for the City of Boston from 1975 to 1978 as project manager with the mayor’s program for Revitalization of Vacant Lots (REVIVAL) and “The Greening of Boston” Neighborhood Improvement Program, as well as coordinating many Parks and Recreation Department projects. Working in the public sector, often with an emphasis on urban horticulture, was a natural expansion of her talents and imparted an important collaborative ethic on Child, yet she longed for a greater focus on the art of design. 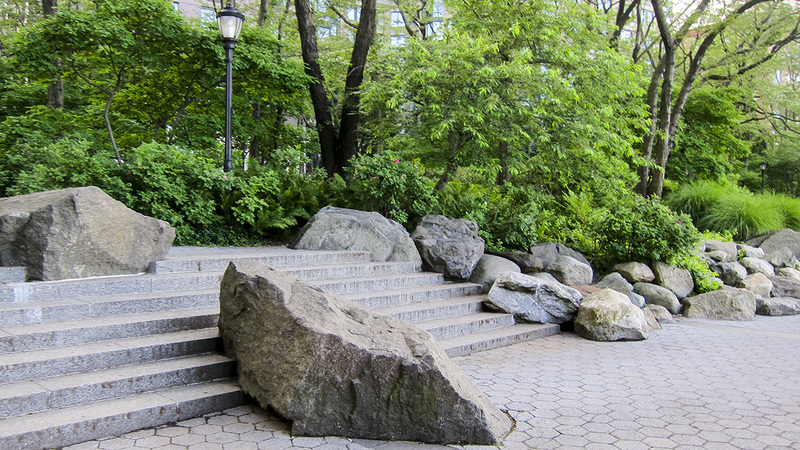 In 1978 she enrolled in the Harvard Graduate School of Design (GSD) Master in Landscape Architecture program. At the GSD, Child found a mentor in then-department head Peter Walker. Her background in art history allowed Child to appreciate Walker’s perspective of landscape as art and his emphasis on theoretical approaches to design, both of which were highly influential on her career and are visibly present in her later practice. During her second year at Harvard, an exhibition on the work of Dan Kiley, “Modern Classicist,” which captured the landscape architect’s clarity, logic, and rational ordering of space, inspired Child and informed her subsequent design ethos. 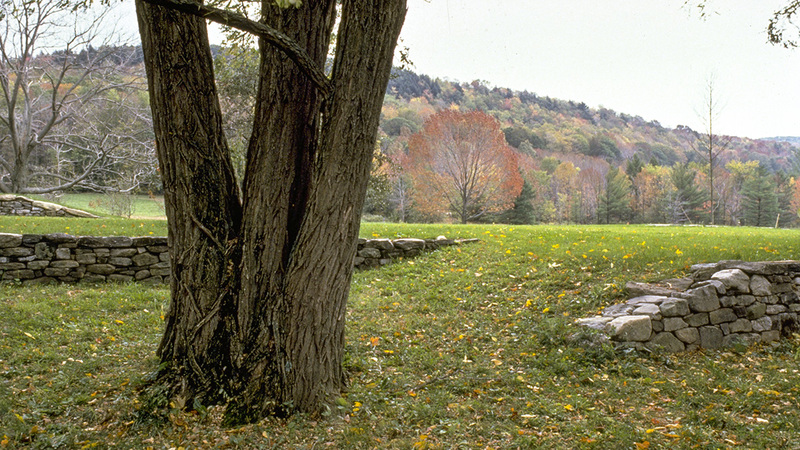 Upon graduation in 1981 Child partnered with Harvard professor Peter Hornbeck to found the landscape architecture firm Child, Hornbeck Associates, Inc, in Boston. 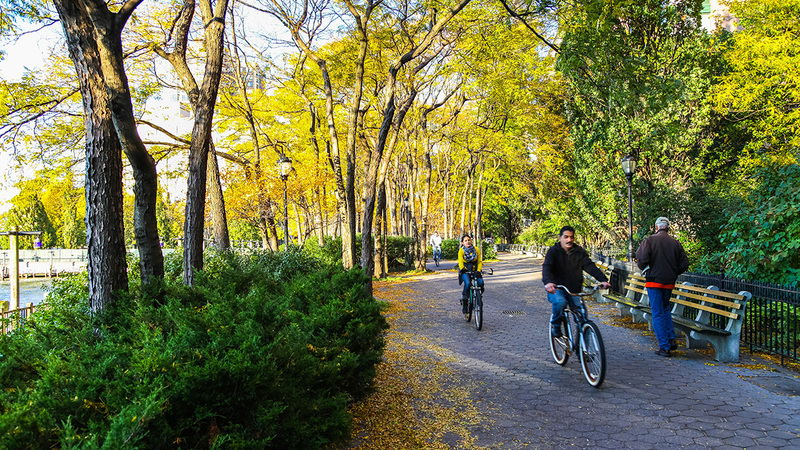 Within months, Douglas Reed, whom Child had met as a classmate at Harvard, joined the firm, first as an associate and later as a partner when Hornbeck departed in 1984 (at which point the firm became Child Associates, Inc., Landscape Architecture). Child’s ability to conceptualize landscape, draw from precedent, and employ minimal means in her expression of place influenced numerous colleagues, including Reed, Duncan Alford, Anita Berrizbeitia, Chris Moyles, and John Grove, among others. One of the firm’s first major commissions was the 1984 plan for the restoration of Stan Hywet Hall in Akron, Ohio, a 70-acre estate originally designed by Warren Manning that had fallen into disrepair. Through a review of limited historic documentation, oral histories of family members, and intense study of existing site evidence, Child Associates extracted the essence of its early twentieth century Country Place era design, and situated Stan Hywet as one of Manning’s most significant residential works. Child noted the necessity of research and incorporating historic precedent in their historic preservation work, “not as replication but as a source of inspiration or possible metaphor,” to ground the work in a larger cultural narrative. Stan Hywet Hall was the first of many historic designed landscapes that Child Associates approached in this way, including: D.W. Field Park, Brockton, MA (1985-1989); Weir Farm, Wilton, CT (1992-1997); and Franklin Park, Boston, MA (1995-1998). 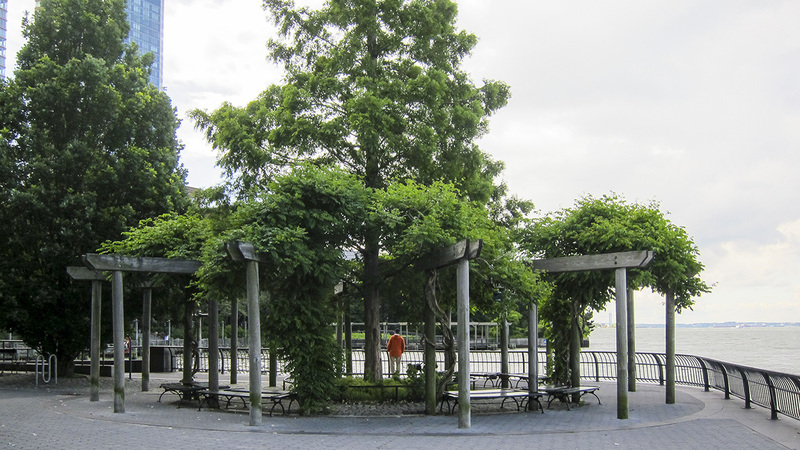 Child’s magnum opus, South Cove at Battery Park in New York City (1985-1989), was a collaborative effort with artist Mary Miss and architect Stan Eckstut, a team assembled under the direction of the Battery Park City Authority’s Amanda Burden and Thomas Kozlowski, whom Child and Reed had met at the GSD. 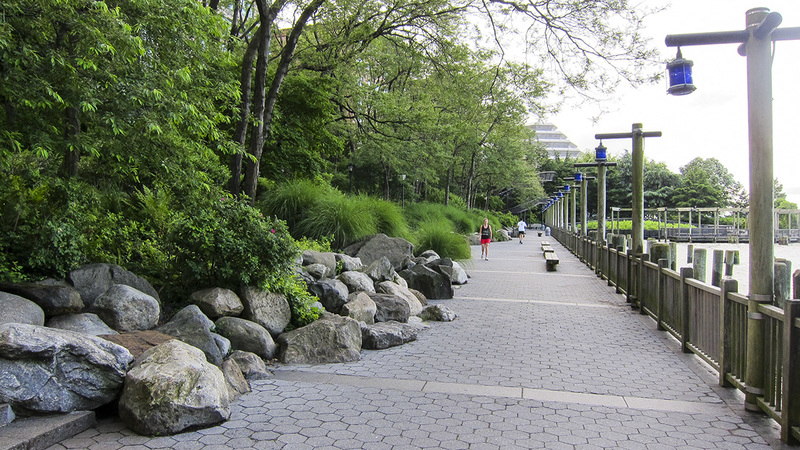 Eckstut, with his firm, Cooper Robertson Eckstut, developed the master plan of Battery Park City. Miss’ sculptural urban site intervention work was compatible with Child’s fascination with landscape as “art at the service of people.” Challenged to design a 3 ½-acre park on a concrete platform suspended over landfill at the river’s edge, the design team treated the landscape as a sculptural installation. 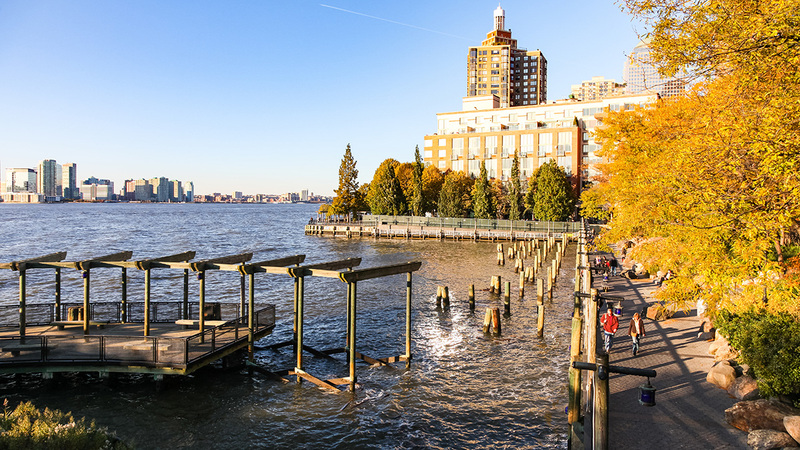 Off the main promenade of Battery Park City, the design incorporates a lower walkway close to the water’s elevation defined by an undulating planted landform, while graduated wood pilings extend into the water in reference to a maritime past. The relationship between city and river’s edge was carefully crafted through vertically layered spaces that unfold sequentially, while indigenous plantings and rock outcroppings recall natural coves of the Northeast. Child further established her reputation through a series of residential projects in the 1980s and early 1990s that all exemplify her artistic sensibility towards landscape. 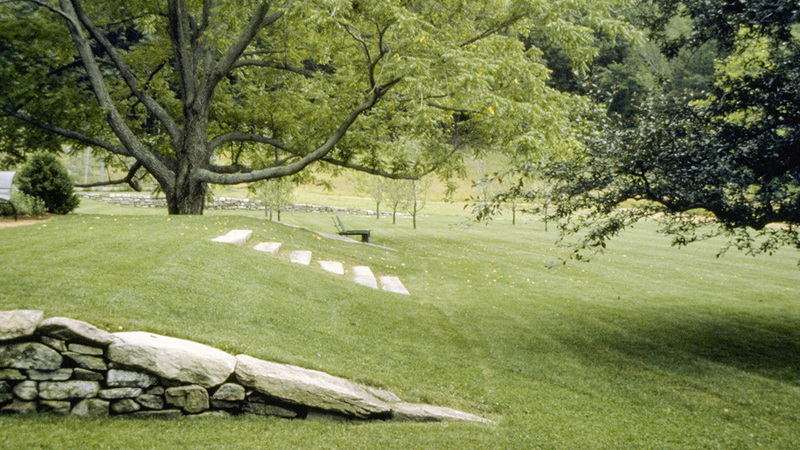 At Richmond Garden (1986-1988) in the Berkshire Hills of Massachusetts, Child Associates employed a deep understanding of rural simplicity to restore the connection between a vacation house and its surrounding landscape. The Grand Isle Residence (1988-1991) on Lake Champlain, Vermont, united sundry landscape elements through a series of wood structures—stepped platforms, pavilions, and boardwalks deployed at places of unusual topographical and botanical interest—which choreographed a sequence of views and relationships between the individual and the broader landscape. Child’s legacy endures as much in her sensitivity to materials as in her emphasis on spatial experience. She was a masterful horticulturist with a vast knowledge of plants and 30 years of gardening experience, often employing unexpected plants in unorthodox places. For example, at South Cove, multi-stemmed honey locusts dot the landscape’s dune-like topography, and a visually dominant yet physically inaccessible island harbors groundsel shrub, capturing a familiar image of brackish shorelines. Child received numerous awards in recognition of her work. 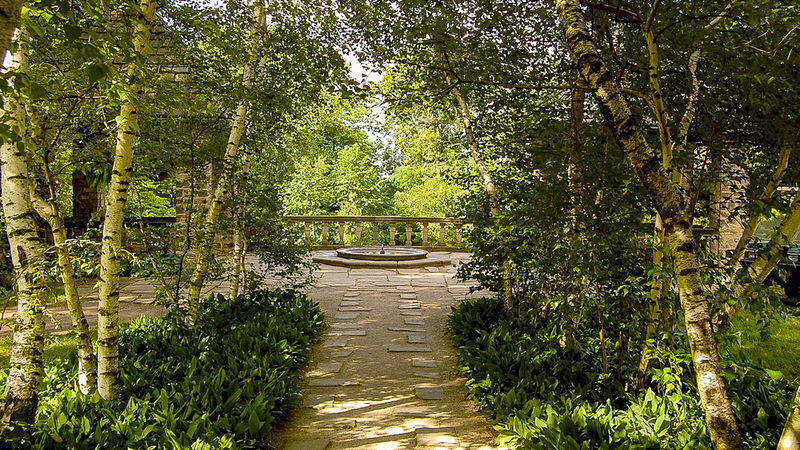 Within ten years of graduating from Harvard, her firm garnered thirteen National Design Awards from the American Society of Landscape Architects (ASLA). She was inducted as a Fellow of the ASLA in 2011. She lectured widely at symposia and schools of design throughout her career, inspiring her students and the public with a compelling narrative of design. Susan Child died at her home in New Haven, Connecticut, on November 13, 2018. Griswold, Mac. “Simple Gifts.” Garden Design 12, no. 5 (1993): 40-47. Provides an overview of Child’s design perspective while briefly highlighting three projects: Richmond Residence, Siasconset Residence, and Troy Residence. Child, Susan. “Most Influential Landscapes.” Landscape Journal 12 (Fall 1993): 187. Q&A with prominent landscape architects; Child discusses farmland along the estuary of the Westport River, Dan Kiley’s Miller Garden, and the Italian Renaissance Villa. Trulove, James Grayson. The New American Garden: Innovations in Residential Landscape Architecture. New York: Whitney Library of Design, 1998: 36-49. Includes photos and short descriptions of the Child-designed Richmond Garden, Nantucket Residence, Grand Isle Residence, and Troy Residence. Kirkwood, Niall. “Abstracting Nature’s Details: a planted path along a cove.” The Art of Landscape Detail. New York: John Wiley & Sons, 1999: 294-306. Interview with Susan Child on the design and construction of South Cove at Battery Park City.